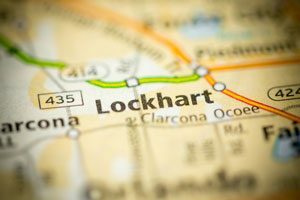 Whether you’re local moving from Orlando to Lockhart is for business or pleasure, hiring a professional moving company can help eliminate the stress and headaches that can come along with moving to a new home. The experts at AAA Insta-Move have been helping satisfied customers with their local moving needs since 1997. For more than 20 years, we’ve set ourselves apart from other Orlando movers with our commitment to complete customer satisfaction. It is our goal to always exceed customer expectations and deliver a superior moving experience. There may come a time before, during or after your relocation in which you require storage for some of your belongings. At AAA Insta-Move, we offer both short- and long-term storage options to meet your needs. Our Orlando storage units offer state-of-the-art facilities that are fire and theft protected. Additionally, we offer on-site portable containers that can be dropped off at one location, filled, and then securely transported to your new home. When looking for your local Lockhart mover, look no further than AAA Insta-Move. Our affordable services and commitment to customer care set us apart from all other moving companies in Lockhart. To learn more about our comprehensive moving services, contact us today. Give us a call or complete the online request form for a free, no-obligation price estimate.